How many times have we seen different covers of Bohemian Rhapsody in the past year? Ever since the biopic came out, everyone seemed to be re-discovering this musical masterpiece and there were tributes to Queen and Freddie Mercury left and right. But even with so many versions out there, there are still those that manage to stand out. And you know you’re up there among the best when Queen shares your cover on their official website. One of the things we love about this is that it’s not over-the-top and the musicians aren’t trying too hard. They made it look easy and the entire performance was simply flawless. 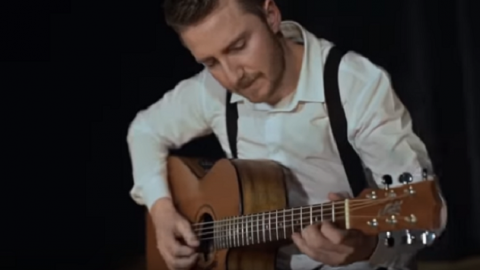 The guitar playing is mesmerizing too – we can almost hear Freddie Mercury clapping. It’s THAT good. These guys definitely deserve more appreciation. This video alone should already be at the million-view mark. Anyone who hasn’t heard their cover is seriously missing out. Check it out and see for yourself.